Gamescom 2018 may be grabbing most of the headlines, but it isn’t the only gaming event happening right now – Blizzard’s Overwatch Fan Festival is also in full swing in Seoul, South Korea. Earlier this morning, Blizzard used the event to reveal some new Korean-themed Overwatch content, including a new map and an animated short starring a certain pink-mech-piloting Hero. The new map, Busan, is set in the South Korean city of the same name. The Control map looks to be a nice mix of old and new, featuring a traditional Korean temple and garden, a more modern cityscape, and D.Va’s futuristic MEKA base. Take a tour of Busan, below. According to Overwatch director Jeff Kaplan, Blizzard really tried to capture the look and feel of the real Busan, which is the second-largest city in South Korea and the country’s busiest port. Blizzard went so far as to record hours of sounds while visiting Busan, in order to give the map that authentic feel. Blizzard has a lot of Korean fans, so obviously they’re trying to get this one right. 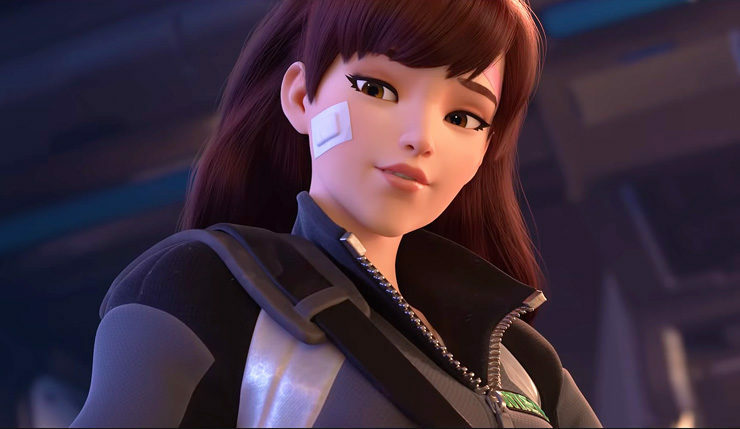 The animated short, entitled “Shooting Star,” is the first to star D.Va. The fan-art-favorite is the most famous person in Korea in the Overwatch universe, as she’s both an esports star and leader of the MEKA squad, which defends the country against Omnic attacks. The short gives us a peek behind the glitz and glamour, as D.Va chills out with her best friend (who has a barely-concealed crush on her) and works on her mech. Of course, the relaxation doesn’t last long, as the Omnics launch a surprise attack. Not the most interesting Overwatch animated short in terms of lore or character development, but it’s still a good amount of fun. Check it out, below. Busan hits the Overwatch Public Test Realm on PC today. No word yet on when the map will be available to the general public, but expect it to be released within the next month or two. Overwatch is currently available on PC, Xbox One, and PS4.